It took a telephone call to the highest office at the City of Cape Town yesterday before a single mother in Mitchell’s Plain had her electricity turned back on. Fahma Adams, who lives with her two children, had been without electricity since Wednesday. By yesterday morning she had found Mayor Patricia de Lille’s mobile phone number and contacted her regarding the inconvenience. Adams alleged that her electricity was cut off because she refused to allow the City of Cape Town to install a prepaid electricity metre at her house. “On Wednesday I came home and my lights were not on. I phoned the city’s electricity department every day since then and they said their team was struggling to find my house,” said Adams. There were other disastrous consequences for the family too, said Adams, who is a local school teacher. Adams said her 12-year-old son “went to braai a chicken in the yard” as their electric appliances could not be used to cook food. “He had to make a fire and made a braai. On Thursday night I had to ask my sister to make food. On Friday night I ate at my sister’s house. I couldn’t even drink a cup of tea at my house. I had to go to my neighbour’s house,” said Adams. When the matter became unbearable, Adams contacted De Lille. “I sent her a text message. She sent me a message back and said she phoned the electricity department to put my power on immediately,” said Adams. By yesterday afternoon, Adams was thanking God for an end to her misery. Weekend Argus contacted De Lille to confirm the incident. “She contacted me this morning. I told the department to put her electricity back on. On Monday I’m going to do a full investigation to find out what happened,” said De Lille. Adams said the matter started on November 5 last year when a City of Cape Town official came to her house with a letter. Adams was still at work and her children received the letter. It stated: “An agent of the electricity services department visited your premises and was unable to access the premises. Adams said she was told she needed to accept the city’s installation of a prepaid electricity metre. She said she did not want a prepaid metre, preferring to settle her electricity bill at the end of each month. “I budget to pay my electricity bill at the end of every month. It normally comes to about R300. I don’t want to buy electricity every time. Some people work like that but then they don’t have money for electricity when they didn’t get their salary yet,” she said. Adams said three weeks ago a city official returned to her house and tried to force her to sign a document agreeing that she would have a prepaid metre installed. “A man came to my house and said he was coming to put in a box (electricity metre). He said If I don’t want a box then ‘Just sign here’. Then I read the sentence on the letter that read, ‘I hereby agree to install a metre box’. I got so mad,” said Adams. Adams said there are other households in Mitchell’s Plain where families also did not want the prepaid metre installed. “There are a lot of people who said they refused. Some people can’t even read and what if they just signed the document? Our community needs to be made aware of this,” said Adams. De Lille said locals had a choice on whether they wanted a prepaid electricity metre or not. “It’s not the policy of the city that you must have a prepaid electricity metre. I don’t have one. It’s a choice. We will investigate this on Monday,” said De Lille. It is perhaps ironic that American actor Forest Whitaker won a string of awards for his portrayal of an African dictator and is now involved in peace efforts on the continent. Whitaker must have been motivated by his role as dictator Idi Amin from Uganda as he is now playing a role in ending Africa’s conflicts. He is a United Nations Goodwill Ambassador. Whitaker was in Cape Town this week at the launch of a poetry book penned by Brian Williams, who works with him as a mediator in countries like Sudan and Uganda. 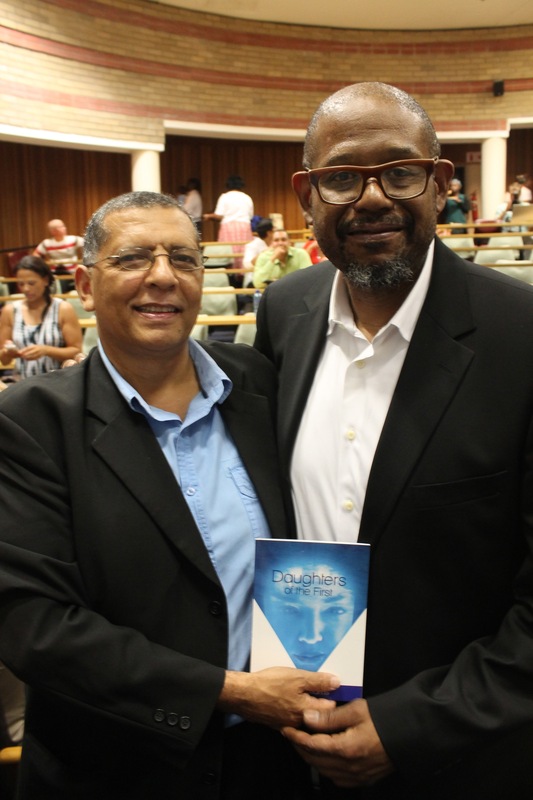 Williams, who lives in Kensington suburb, left for South Sudan on Friday, shortly after launching his book, Daughters of the First, at the University of the Western Cape on Wednesday night. Williams works as a professional mediator and runs a consultancy that focuses on mediation in communities. He joined forces with Whitaker in 2012. At the time, Williams was negotiating a peace agreement between the City of Cape Town and Hangberg residents. In Williams’ book, Whitakers writes that it was in November 2012, that “Brian and I went out to meet the (Hangberg) community and its leaders”. He was filming Zulu alongside actor Orlando Bloom in Cape Town at the time. Whitaker continued: “They were a committed group and walked me through the community explaining how the police had come in with guns filled with rubber bullets and forcibly removed people. He concluded that Williams “would use tonality to touch the heart, structure to bring security to the brain and syntax and punctuation to drive home peace into everyone’s soul”. “I would watch this transformation take place during dialogues in Khayelitsha, Langa, Hangberg, Crossroads, Kensington, Hanover Park and finally with peace builders in my programme in far away Uganda and South Sudan,” he wrote. Williams said his writing and work intertwined, as the poems focus on encouraging peace too. This was the first time that he was talking to the media about his work with Whitaker, he said. “I don’t use it (the Whitaker link) to leverage it for myself. Nobody knows that we work together. You won’t find it on my website,” he said. “In the nature of the work that I do, I need to protect the confidentiality. Until he decided to write in a book about our work together I decided not to speak about it. He said Whitaker had come on a “private visit to South Africa but broke his cover by coming to the book launch” where he read a poem from the book. Daughters is the fifth poetry collection that Williams has published. His debut collection, The Wounded Spear Arises, was praised internationally after it was published in 1989. Williams, who holds five university degrees, is currently doing post-doctoral research about community reconstruction. He started his working life as an electrician on a construction site though. Later, he was involved in anti-apartheid union efforts and joined the department of labour in the Western Cape in 1995. He said after 1994, with the birth of democracy, it “became important was how to reshape relationships” and he got involved in that. “We needed the new government to succeed. Everybody was redefining relationships,” said Williams. Williams is presently on the executive authority that runs the University of the Western Cape. His book is available for sale at R100 and non-governmental organisations that sell the book can keep the proceeds, he said. For more information contact Williams at 082-499-3636. Two men allegedly linked to a string of Cape Town mall robberies, while dressed as police officers, appeared at the Wynberg Magistrate’s Court on Friday. State prosecutor Rahidien Cullis told the court it is believed the men are part of a “bigger syndicate” involved in a spate of mall robberies that left Cape Town shaken late last year. Oscar Barends, 41, from Mandalay and Tembalethu Mpalweni, 26, from Nyanga appeared in the court for armed robbery. They were arrested for allegedly stealing jewellery and diamonds from the Isis jewellery shop at Hout Bay harbour, Hout Bay, on October 24 last year. The incident occurred shortly after 12pm when the two entered the store with three other men. They were all in police uniforms. Cullis said the suspects made off with jewellery and diamonds to the value of R2,5-million, which had not yet been recovered. He told the court Barends was arrested on December 30 at his house. Mpalweni was arrested in Silver City, Mitchell’s Plain, on January 16. “Police were looking for him (Mpalweni) and one of their informers called them when they saw him in the area,” said Cullis. Police had also traced via cell phone records that both suspects were in Hout Bay on the day the Hout Bay jewellery store was robbed. “Police showed 45 photos to the (Isis) store owner who was in the store at the time of robbery,” said Cullis. Cullis told the court Barends “has been charged in another robbery of a jewellery store and is out on bail”. “Mpalweni is also linked to two armed robberies. One is for a jewellery store in Fish Hoek. He will appear on Tuesday in Simon’s Town court for that. The other is for an armed robbery of a Vodacom store in Kuils River,” said Cullis. Barends is meanwhile linked to a jewellery store robbery in Canal Walk in October last year. “He was at a garage outside Canal Walk. He was in a getaway car. The suspects phoned him and he drove off with the car,” said Cullis. Barends is also linked to another mall robbery court case at a different court, said Cullis. “He has not yet been charged as police are investigating for a more substantial link,” he said. The two suspects have not yet made a plea at the court, but indicated via lawyers that they would stand their ground. Their lawyer argued they know nothing about it. The two suspects are back in court for a bail application hearing tomorrow (Monday). The provincial ANC is planning a fancy dinner to cash in on the opening of Parliament next week, while downtown hotels are already fully booked for the annual red carpet affair in Cape Town. President Jacob Zuma is to usher in a new year of debates – hopefully peaceful – and law-making – hopefully sensible – on Thursday at 7pm. MP Julius Malema’s EFF rebels have meanwhile threatened to disrupt the event, which has cemented itself as the fashion highlight on the political calendar. EFF wants Zuma to answer questions about the public protector’s findings regarding irregular government spending on his private residence in Nkandla. So it will be an action-packed night, with Zuma’s State of the Nation Address likely to grab headlines for its review of the past year. But more newsworthy always seems to be what parliamentarians were wearing en route to their first meeting for the year. Usually, they are dressed in some of local fashion’s finest, at times even its most disastrous. With all the country’s political leaders in Cape Town, the provincial ANC has decided to host a dinner that will cost R10,000 per diner. The party’s provincial secretary Songezo Mjongile told Weekend Argus this week their “presidential dinner” is planned for Wednesday night at the Cape Sun Hotel. “We are taking the opportunity to host this dinner while high profilers are in Cape Town. We will raise funds for the provincial branch of the ANC,” said Mjongile. He said they also intended to capitalise on the Investing in African Mining Indaba running Monday to Thursday next week at the Cape Town International Convention Centre. It hosts at least 7,000 delegates from 2,100 international companies and 110 countries. He said their dinner would accommodate only 400 diners. He confirmed deputy president Cyril Ramaphosa, who has financial interests in Lonmin mine in the North West province, is also set to attend the dinner. The provincial ANC will also host a live streaming of the opening of Parliament at the Southern Sun Hotel on Thursday. “Dinner arrangements would also be made for this,” said Mjongile. He said Parliament’s opening “leads to the development of Cape Town”. “On the day there is some inconvenience (such as road closures) for economic benefit. We have to make sacrifices because there is development,” he said. Managers at a number of hotels near Parliament’s buildings on Plein Street said their rooms are fully booked for this week. Antonio Carpanese, general manager of Parliament Hotel on Barrack Street, said they in fact have “full occupancy in February”. “Parliament has a big influence on that. There are people coming from other towns. But there are other events and tourism generally as well that have contributed,” said Carpanese. He said their hotel up the road from Parliament usually has more guests in February anyway. “A lot of people who didn’t take leave (from work) in December take their holiday in February. It’s also the best month in summer to be on holiday. People are afraid of the Christmas crowd and that’s gone now,” he said. Michael Pownall, general manager of the Taj Hotel, said the annual opening of Parliament “has a positive impact because we are in the centre of the action”. This hotel is located opposite Parliament and is in a section of Wale Street that is usually closed off to traffic on the opening day. “This large annual event with very many corporate chief executives and overseas diplomats in attendance is good news for both the hotel and the central city area,” said Pownall. “Most local hotels greatly benefit from the number of non-local visitors who arrive, and smaller functions or meetings around this annual event. Terence Duckitt, deputy general manager at Mandela Rhodes Hotel on St George’s Mall, said guests this month would be a “mix of government officials, corporates and international travellers”. “It’s primarily government and business bookings. Our guests are here for the opening of Parliament and mining indaba,” said Duckitt. The hotel has 65 apartment-sized self-catering rooms at R2,100 to R5,000 per night. Duckitt said there had been “price increases due to demand” for rooms. Duckitt said the knock-on effect was that “guests are also going on tours while here”. “They usually pre-book tours before or after their event. They usually stay on for leisure activities. They spend money here (Cape Town),” he said. Politicians would likely also be dining out or partying after the official business is out the way. The V&A Waterfront’s party venue Shimmy Beach Club’s marketing manager Lisa Carey said their week ahead looks packed. She said Shimmy’s “lounge club will be open from 9pm to 4am with DJ’s playing”. “We are almost at 100% occupancy (for events) but can’t tell if it is as a result of mining indaba or the opening of Parliament. Both are important contributors of course,” she said. Residents wanting to block a new route, employee strikes and now disgruntled passengers are adding to the city’s MyCiti bus service woes. The multi-billion Rand project kicked off with the promise of enhancing public transport across Cape Town when the country hosted Fifa’s Soccer World Cup in 2010. But things seem to be falling apart for MyCiti as this week bus drivers from the Transpeninsula Investments (TPI) vehicle operating company went on strike this week. This destabilised the service, with buses unavailable on several routes. Two MyCiti buses were also vandalised in separate incidents on Thursday night and Friday morning. Coupled to that, the City of Cape Town is entangled in a public spat with southern suburbs residents over its proposed expansion of the MyCiti route along South Road in Wynberg. Residents face eviction from council-owned houses as city officials plan to push ahead with their R4,1-billion expansion plan. Weekend Argus yesterday spoke to a number of commuters yesterday to hear about their MyCiti experiences. Natalie le Roux, who works as a researcher in central Cape Town, said she stopped using the bus from Milnerton for a host of reasons. “We moved to Cape Town from Bloemfontein last year. I’ve had some good and bad experiences. Sometimes the buses are just too full,” she said. Le Roux said she decided to drive with her car to work daily. “I took the bus because I wanted to save money but also because of traffic. I wanted to avoid traffic jams. But now I just take my car,” she said. Another commuter, Nabeel Jackson Rhode, said he recently started usingMyCiti. “It’s been awesome and always on time. It beats the cost of other public transport and it’s efficient,” he said. But, he added, “this week saw a change”. He said he wondered “whether it was never the plan to truly benefit people”. Ayesha Sheik from Walmer Estate was more upbeat about MyCiti though. “I use it to get to work in town. You can use Google Maps to see exactly when it’s scheduled to arrive (at the bus stop). So if it’s running a bit later than scheduled, you get the exact time it’s arriving,” said Sheikh. Councillor Brett Herron, mayoral committee member for transport at the City of Cape Town, said they would monitor the bus strike this week. “Law enforcement officials have been deployed on certain routes to ensure the safety of our passengers and bus drivers and to prevent any further damage to our property,” he said. 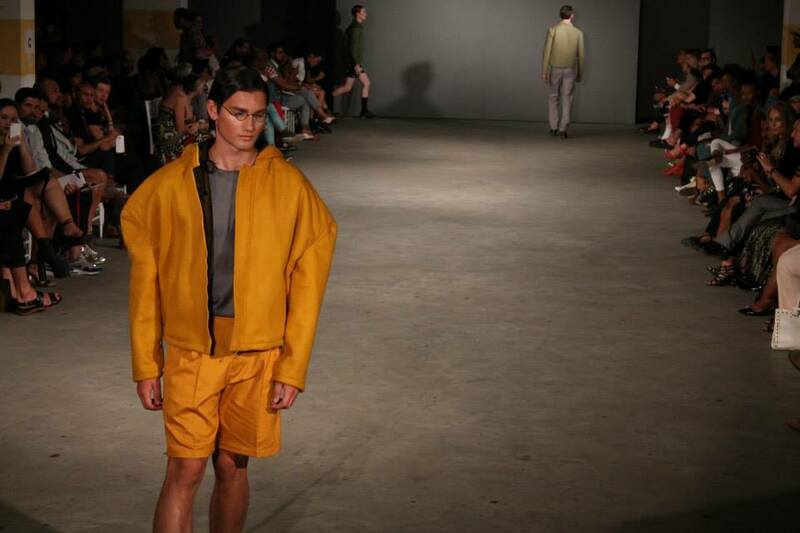 It was inside a V&A Waterfront parking lot without air-conditioning last week that a relatively small and sweaty crowd gathered for the debut South African Menswear Week (SAMW). Twenty-five fashion designers exhibited their work to an eager public by the close of the Cape Town-based event on Saturday night. Overall, it would have been a hope-filled start on Thursday night to what SAMW organisers intend to run twice a year. SAMW founder Ryan Beswick said his initiative aimed “to develop and grow the sector by providing a world-class platform for designers”. “It also provides a sound business case with marketing and promotion opportunities for designers to grow their brands,” said Beswick. He recognised an overlooked gap in the fashion sector and now wanted to capitalise onmenswear, “the biggest growth area in fashion”. Participating local designers and their African counterparts within the continent’s borders at this week’s event included emerging talent Rich Mnisi and more established designers such as Shaldon Kopman. Salt River-based CSquared, known for its quality suits, showed its summer range on the opening night. Its designer Wayne Govender put his best foot forward the night before he was meant to board a flight to Europe for a work-related trip. 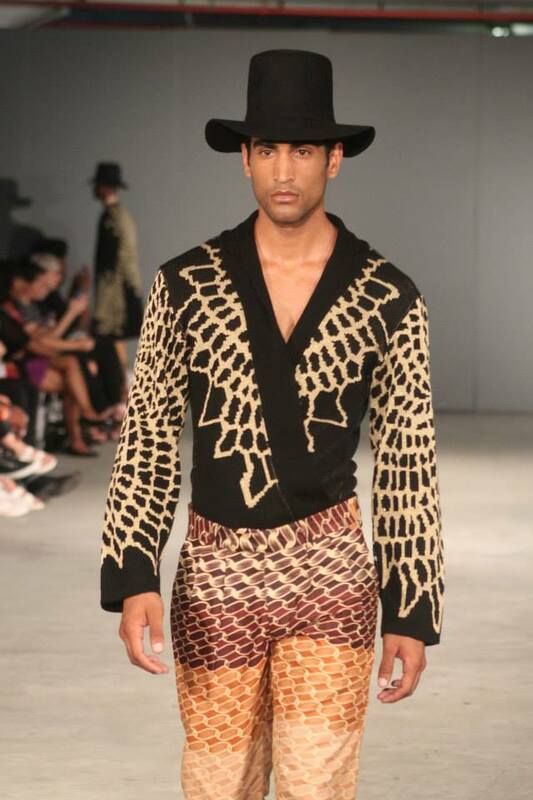 Govender’s post-show interviews spoke of a menswear designer seeking a niche marketplace to target his audience. “We need this platform so badly. It’s going to help the men’s fashion scene and the economy,” he said. Tanzanian menswear designer Mustafa Hassanali meanwhile lobbied for a united African fashion fraternity. Hassanali owns and runs Swahili Fashion Week at home and brought two labels to showcase at SAMW. “This is the first event like this in Africa. We cannot think of our country as an individual. We need to think of it as part of one continent. We need to support each other,” said Hassanali. He said African designers often looked to South Africa as a springboard because the country “gives a huge media platform for designers from other parts of the continent”. 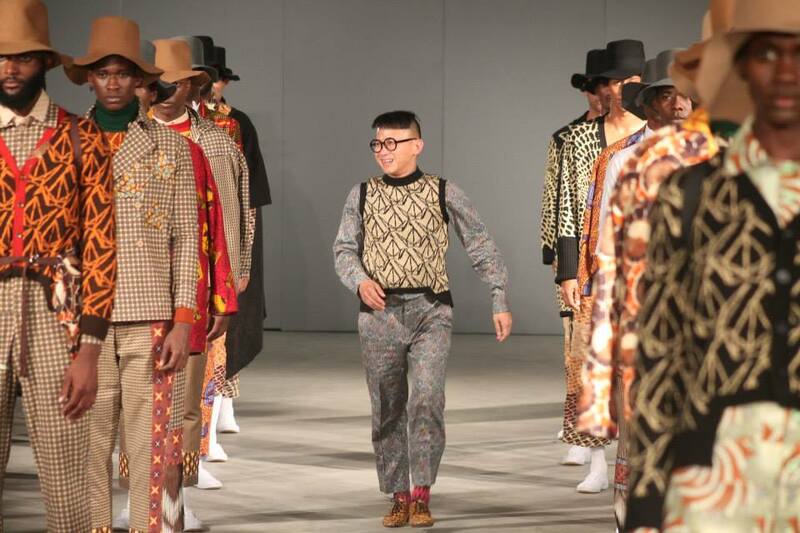 Bryan Ramkilawan, head of the Cape Town Fashion Council, said they put money into SAMW because “men’s fashion has always been a neglected space in South Africa”. “Most guys are happy with their chinos but this can change. 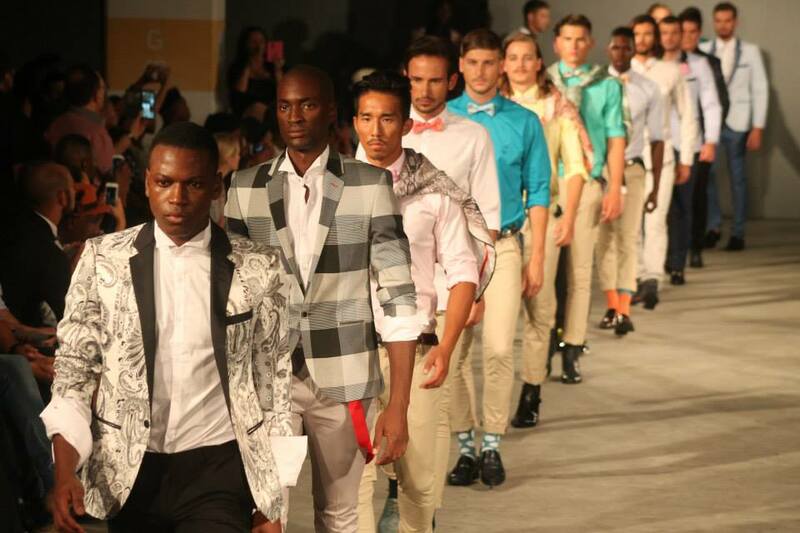 We already have quite a lot of South African men who are stylish,” said Ramkilawan. Ramkilawan said the council would next month set up a pop-up shop in New York, selling South African fashion and “handmade products, including jewellery”. “We hope to have a store in New York by September. The same will be done in London and Stockholm. We’re changing the strategies and the way we are looking at things,” he said. Police officers facing eviction from their barracks at Cape Town central police station yesterday accused their managers for being uncaring and placing their lives at risk. Almost 30 male and female police officers living in single rooms on the second floor above the police station on Buitenkant Street had to leave the building by yesterday. They were told their rooms would be converted into administration offices. But they refused to vacate the building as they have not secured alternative accommodation. They showed their rooms and living conditions yesterday. Most of them did not want their names or faces published in the newspaper for “fear of intimidation”. The officers said they also feared for their lives as the only places they could possibly move to were townships where criminals target police officers. All the officers are from outside Cape Town and mostly from other provinces. They are deployed at police stations across the city. One officer from Limpopo, who has lived at the barracks for the last 10 years, said he would prefer to be transferred to his hometown so that he could be with his wife and children. “I have applied for a transfer but we are told that we need to wait until somebody else from our province can replace us in Cape Town. If I was in Limpopo I could walk to work. It would be better for me to be with my wife and children,” he said. A police officer from the Eastern Cape said he had planned to move to Khayelitsha instead of being evicted, but those plans changed swiftly. 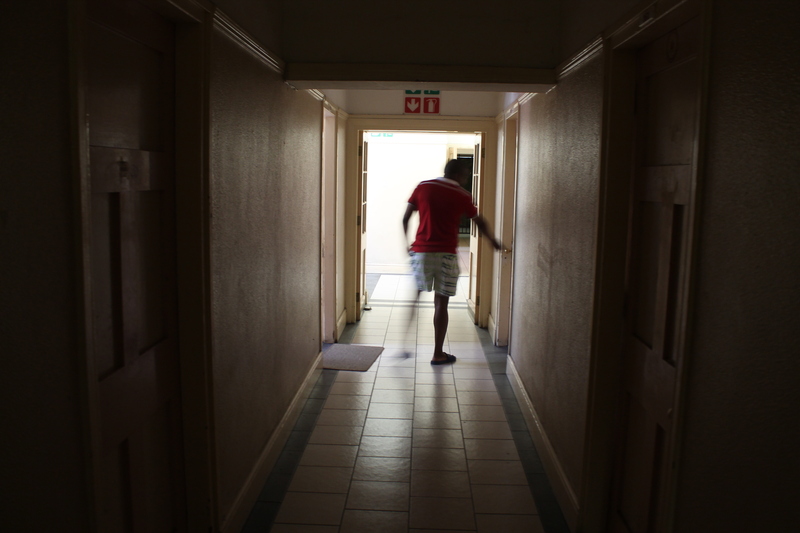 “I was going to move out of the barracks to Khayelitsha. My colleague moved there a month ago. Two days after he moved there his place was broken into and his uniform was stolen. Luckily his firearm was not there,” he said. An officer from Kwa-Zulu Natal who has lived in the barracks since 2011 said one of his colleagues had also “been chased in the day by skollies (gangsters)”. “They wanted his gun. He was in uniform. The public saw it and they don’t care,” said the officer. He said their run-down barracks toilets had also not regularly been cleaned. Not all the showers in both the male and female toilets work and the ceiling paint is peeling. 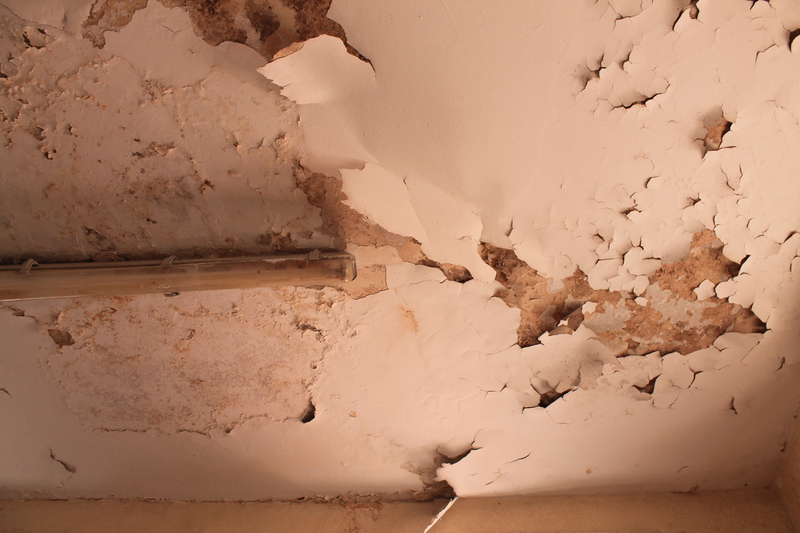 The barracks are generally in a state of neglect. The Kwa-Zulu Natal officer added: “They are not cleaning our floor because they want us out. They also limit our electricity use. After tax deductions, the officers earn R5,000 to R7,600 a month. They pay R1,400 rent a month to stay in the rooms. Police officer Vanessa Elias from Worcester said she would also prefer being stationed in her hometown. She has lived in the barracks for a decade and is based at Cape Town central station. “I’m horrified about our situation. It has affected my work,” she said. 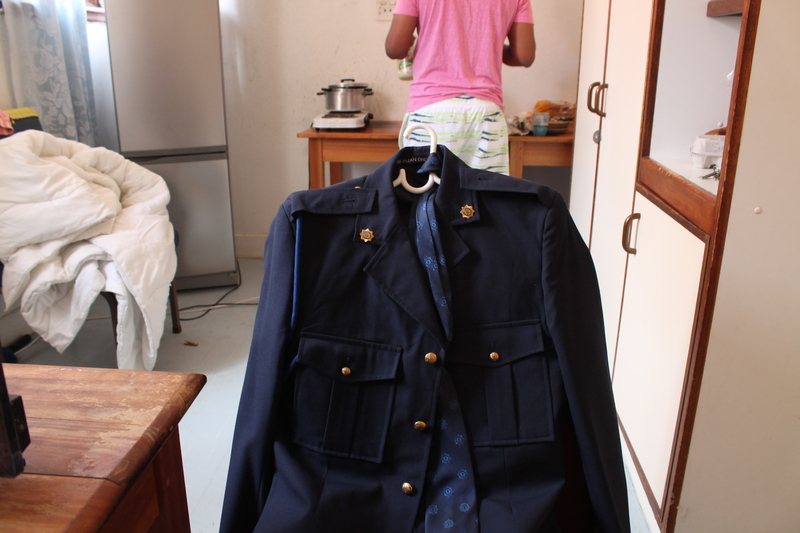 Elias said she had no family in Cape Town and was scared to be seen in uniform when not on duty. Colonel Tembinkosi Kinana, spokesman for the Western Cape police, could not confirm when the officers would be evicted. He said a “thorough process of consultation was followed by management with members concerned”.